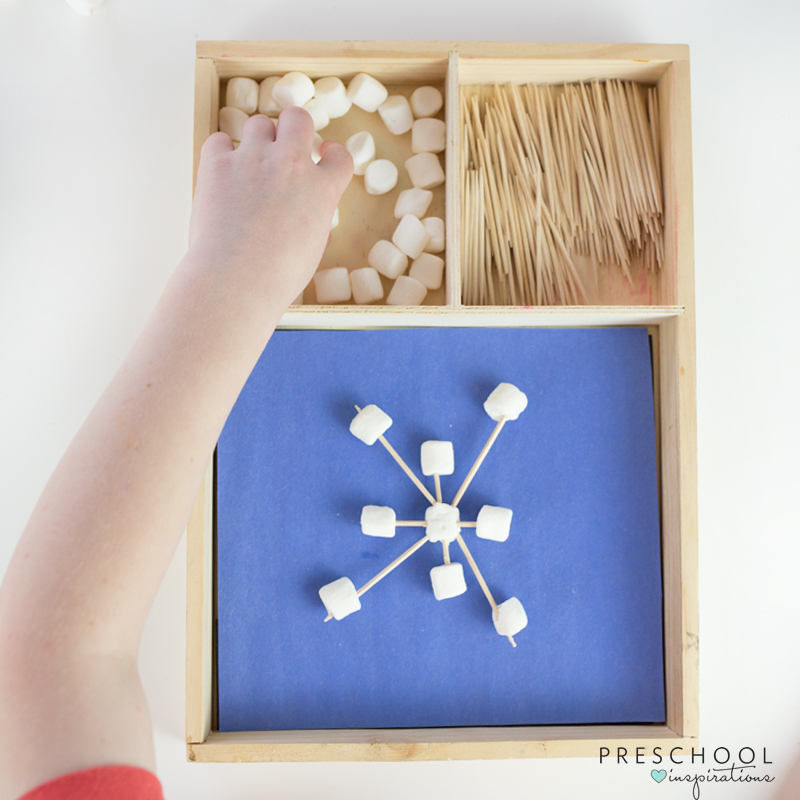 Give a teacher a bag of marshmallows and she’ll find 30+ Activities to use them in! Ha! 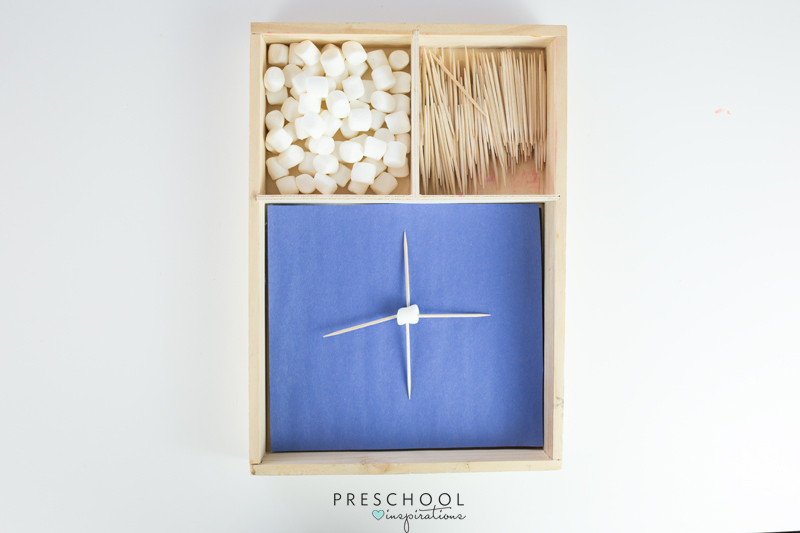 Anyone else love using ‘mallows in classroom activities? Today we made marshmallow and toothpick snowflakes to learn more about snowflakes and symmetry! First, I organized our supplies in a small wooden tray. I find that an attractive presentation makes activities much more inviting to kids. You can use the tray these lacing cards come in, or this toy’s tray. (No tray? Use a piece of construction paper as a workmat. 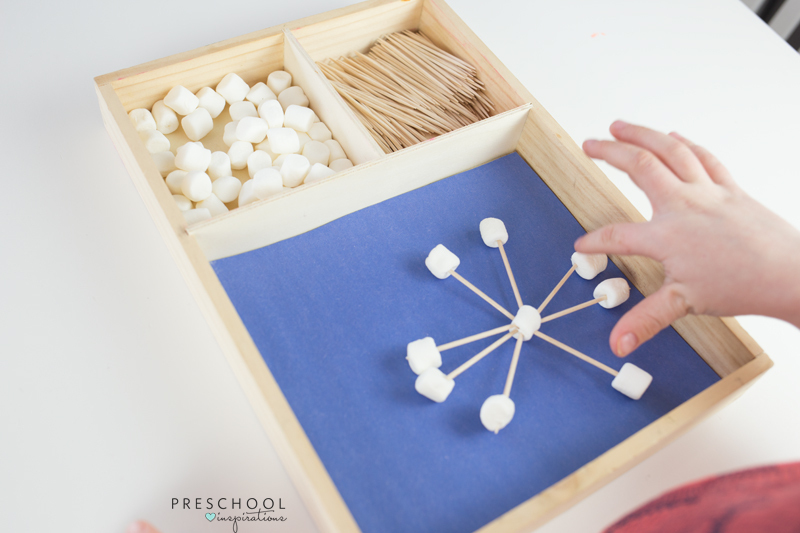 This helps define the space of the activity and helps avoid marshmallows from spreading across the table). I added a few toothpicks to start off a snowflake and invited my preschooler over to continue creating. We talked about how snowflake designs are symmetrical, or the same on both sides. So as my preschooler added a toothpick to one side, he made it even by adding a toothpick to the other side as well. 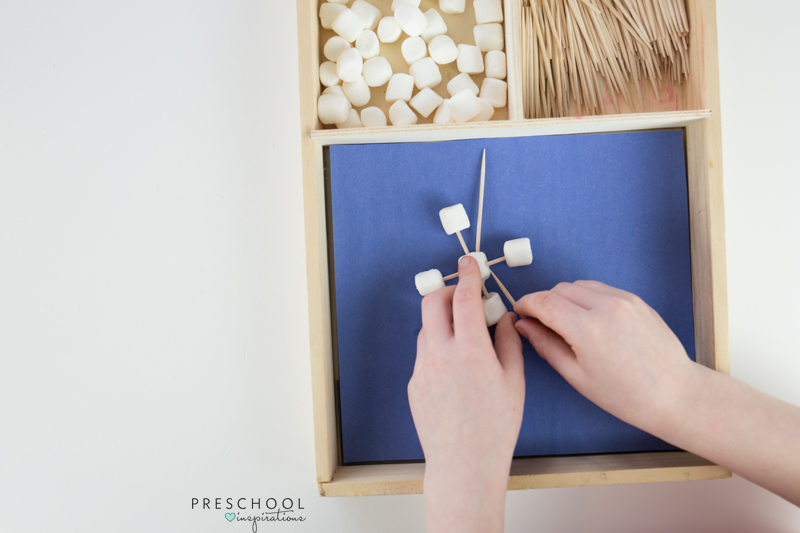 Pinching and arranging the marshmallows on the toothpicks is a great way for preschoolers to work on fine motor skills, too. (Tip for working with marshmallow- day old ‘mallows are easier to handle as they don’t squish as much). During a pause from building, we examined the snowflake we’d made. 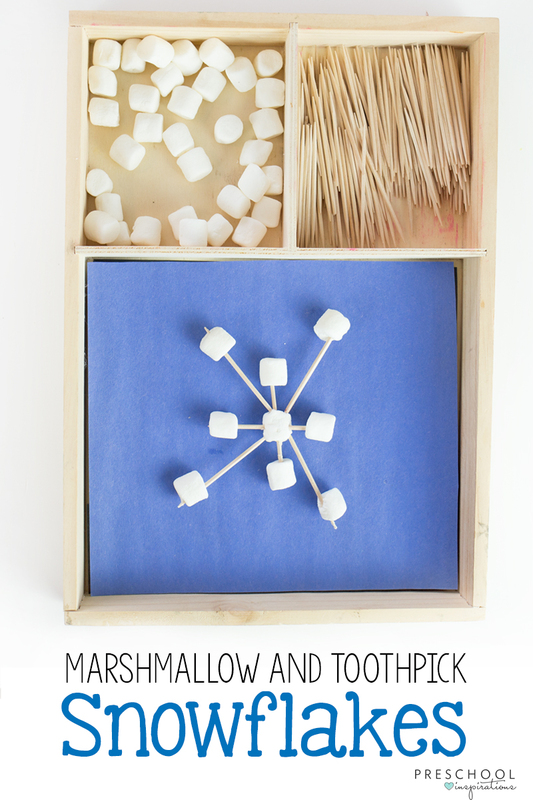 We talked about how many marshmallows we used, how many toothpicks we used, the symmetrical shape, etc. We also snacked on a few marshmallows and then decided to build another one! Extend this activity by inviting preschoolers to draw their creations on a piece of paper. Ask how many different designs they can come up with and allow them to work in teams to brainstorm other designs.